This time Mr.Gizmo, a tech blog has leaked some high-quality press renders of the new color variant of OnePlus 6T. OnePlus has recently launched its flagship OnePlus 6T for the masses. The device is a successor of OnePlus 6 and packs some of the similar top-of-the-line features which bring the device in the premium category. The major change which the OnePlus 6T brings over its predecessor is the waterdrop notch on the display along with an in-display fingerprint scanner. 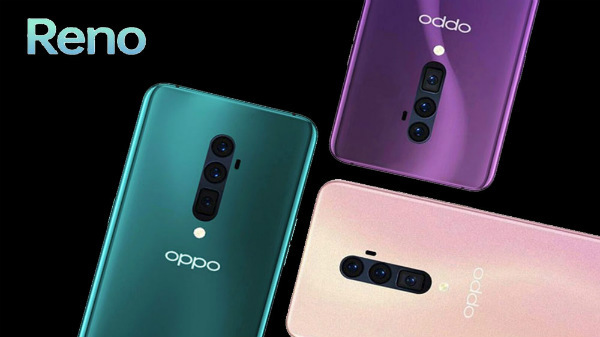 OnePlus is quite well known for releasing new colors for its smartphones and over the years the company has been introducing new color variants for its smartphones to catch up with the trend. We already have seen some of the interesting color options which the OnePlus smartphones feature such as Lava Red, Amber Red, Silk White, and Sandstone White. Now, it appears that the company is all set to bring the Thunderbolt Purple variant for the recently launched OnePlus 6T. At present, the OnePlus 6T is available only in Mirror Black and Midnight Black color variants and as per the rumors, the third color variant is also in the cards. This time Mr.Gizmo, a tech blog has leaked some high-quality press renders of the new color variant of OnePlus 6T. 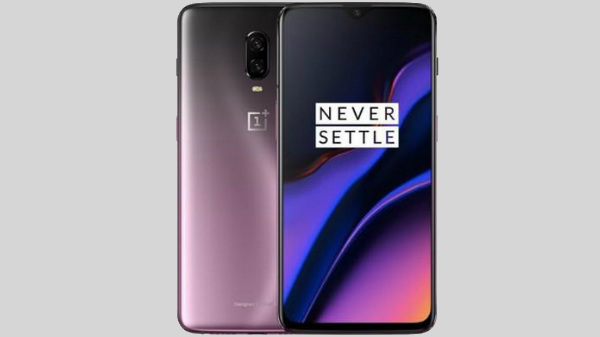 The blog has leaked the images of the "Thunder Purple" color variant of OnePlus 6 which showcases the device in its full glory. This is not the first time that the "Thunder Purple" color variant of the OnePlus 6T has appeared online. Earlier, a known leakster Ishan Aggarwal had also suggested that we might soon see the "Thunder Purple" color variant of the OnePlus 6T. Considering that this color variant is being tipped often, it would be safe to assume that we might soon see this variant of the device. Also, there will be no change in terms of specifications and features offered by the OnePlus 6T's Thunder Purple color variant. To recall, the OnePlus 6T packs a 6.41-inch Optic AMOLED display with a screen resolution of 1080 x 2340 pixels and an aspect ratio of 1080 x 2340 pixels. 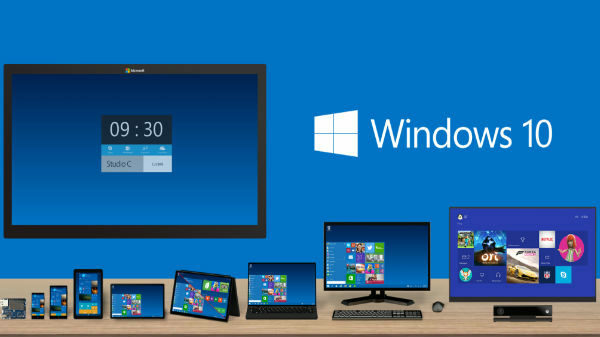 The display has a pixel density of 402 PPI. The device draws its power from Qualcomm's high-end Snapdragon 845 SoC which is paired with Adreno 630 GPU and 6GB of RAM. The smartphone is available in 128GB of built-in storage and is backed by a decent sized 3,700mAh battery. OnePlus has not officially released any statement on the availability of the "Thunder Purple" color variant of the OnePlus 6T. With all the leaks and rumors emerging related to the new color variant of the device, we can expect that the company might soon bring this variant in the market. We will keep you posted with the further information on the same, so stay tuned with us.